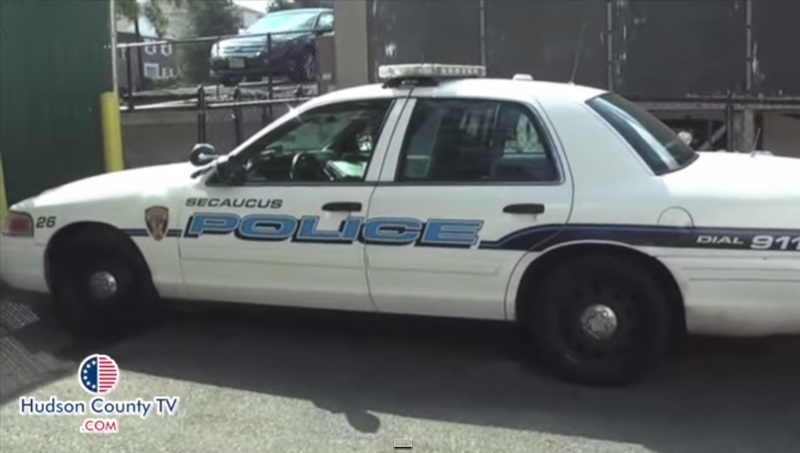 Secaucus Police blotter, who was arrested last week? Home Featured Stories Secaucus Police blotter, who was arrested last week? 1. On October 9th at 10:48am, during a motor vehicle stop in the area of 1379 Paterson Plank Road for failure to give proper signal, 23yo female from Secaucus NJ, Samantha F. Bono was arrested. Bono was charged with possessing a bat for an unlawful purpose (Possession of a Weapon for an Unlawful Purpose). Bono was also issued motor vehicle summonses for failure to give proper signal, failure to stop, and throwing objects from a motor vehicle. Bono was processed and released on a summons. 2. On October 10th at 12:16pm, during a motor vehicle stop in the area of Harmon Meadow Blvd/Paterson Plank Road for careless driving, 28yo male from New Bedford MA, Juan C. Ramos-Santiago was arrested. Ramos-Santiago was allegedly in possession of marijuana and a cigar which was used to inhale the contraband. Ramos-Santiago was charged with Possession of CDS and Possession of Drug Paraphernalia. Ramos-Santiago was also issued motor vehicle summonses for careless driving, failure to give proper signal, Possession of CDS while operating a motor vehicle, and failure to possess an insurance card/registration card. Ramos-Santiago’s bail was set at $1,000.00 with a 10% option. 3. On October 12th at 10:47am, Essex County Jail had in their custody 26yo male from Paterson NJ, Miguel Ozuna-Soler. Ozuna-Soler was said to have an active warrant out of Secaucus in the amount of $500.00. Ozuna-Soler also had two other active warrants; Rochelle Park warrant in the amount of $250.00 and Woodland Park warrant in the amount of $172.00. Ozuna-Soler was subsequently remanded to the Hudson County Jail. 4. On October 13th at 10:07am, during a motor vehicle stop in the area of 375 County Avenue for tinted windows, 24yo male from Jersey City NJ, Odain Thompson was arrested. Thompson was said to have active warrants out of Edison, Newark, and Jersey City totaling $1,200.00. Thompson’s bail was posted and he was released with motor vehicle summonses for tinted windows and driving while suspended. 5. On October 14th at 11:43am, during a motor vehicle stop in the area of 105 Enterprise Avenue for improper display, 27yo male from Belleville NJ, Jonathan L. Mejia was arrested. Mejia was said to have an active warrant out of Fairfield in the amount of $1,024.00. Mejia’s bail was later posted and he was released with motor vehicle summonses for improper display, driving without a license, and driving while suspended. 6. On October 14th at 03:24pm, Passaic County Sherriff’s Department had in their custody, 22yo male from Paterson NJ, Juan M. Amaro-Almante. Amaro-Almante was said to have an active warrant out of Secaucus in the amount of $500.00. Amaro-Almante’s bail was later posted and he was released.